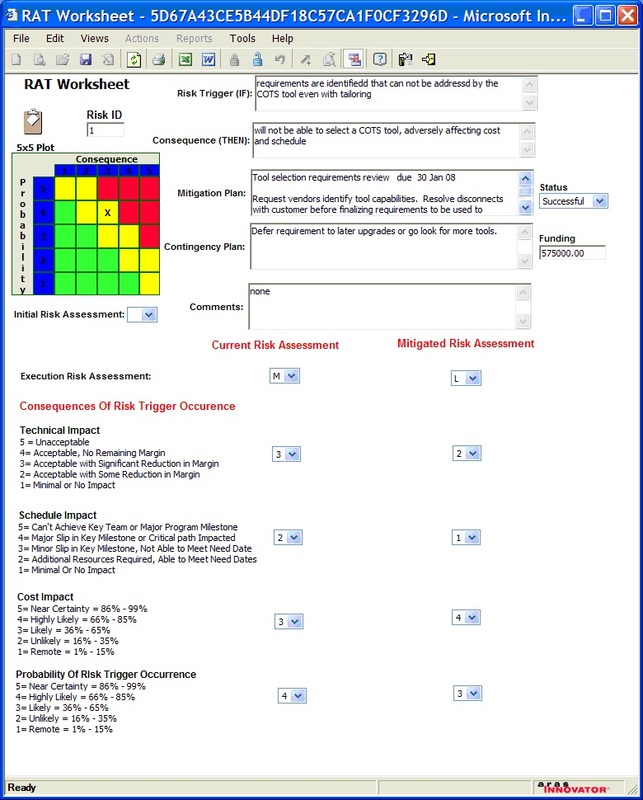 Risk Analysis using Workbooks, Worksheets and 5x5 analysis. This is a stand-alone solution with no dependencies on the Program management. Original idea from Jean-Marc and Jim at ITT Defense.